The most powerful MPC ever takes its rightful position in our Akai Professional product line. 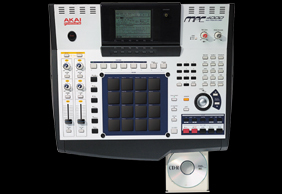 Along with the MPC2000XL, and the MFC equipped Ultimate XL the MPC4000 joins the legendary music production tools of our time. Using the new Z-96 sampling engine the MPC4000 boasts the first full feature sampler ever in an MPC product.